As Ngāi Tahu, you have more support than you may realise. Beca Scholarships are for Ngāi Tahu tertiary students who are studying architecture, engineering, environmental management, landscape design, planning, resource management, or urban design. We are looking for students who are enthusiastic, highly motivated and can fit a lot of varied work into their lives. Following this experience, scholarship recipients may progress to a Beca Graduate role and/or opportunities at the Ngāi Tahu office. They will have valuable experience which can also be used to assist whānau in their marae development projects, infrastructure projects, and environmental-related outcomes. Applications for 2019 are now closed. Applications for 2020 will open 1 March 2020.
phone 0800 KAI TAHU (0800 524 8248). We can answer all your questions and help you apply. My time as a Beca scholarship recipient was invaluable to my personal, professional and cultural progress as a Kāi Tahu rakatahi. 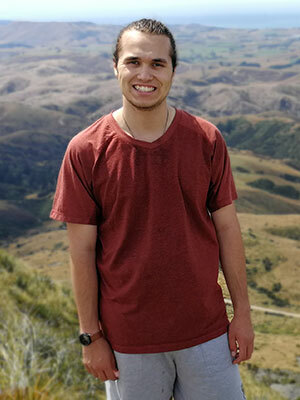 Connecting with like-minded young Māori was something special to come from the scholarship programme. I was motivated to think seriously about how I want Māoritanga to be part of my future career. As an intern with Beca, my highlights were site visits which involved ecological assessments, collecting water quality samples, involvement in consultation at construction sites, and more. Being in the field helped me appreciate how a company works inside and outside the office. So many opportunities have arisen for me as a result of the Beca scholarship, and I could not have gained the same experience any other way.